When rooms are ventilated via a window the fresh air and the spent air flow in and flow out through the same window. This is a customary way to ventilate and is the most generally practiced. 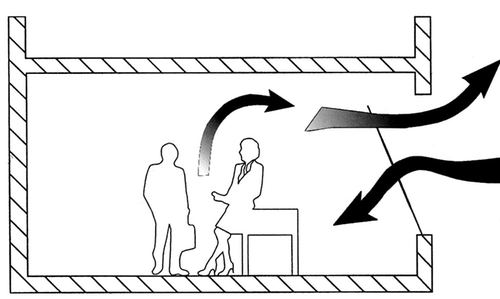 The air flow through the window depends on the free cross section, the difference in temperature and the wind speed. For the purpose of rush airing the casement is opened wide. Slow airing via tilted windows requires much longer for the same air exchange and it can cause high energy loss. Transverse ventilation makes use of the differences in pressure between the side of the building facing the wind and that facing away from the wind. The fresh air flows in on one side of the façade and out on the other. 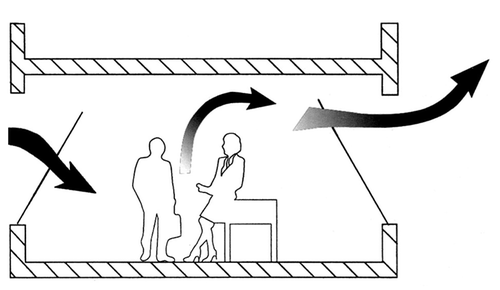 Transverse ventilation facilitates the fastest and most effective air exchange in the rooms. To get rid of moisture in living quarters it is necessary to ventilate via the window several times a day, depending on how the respective room is used. Compared to other rooms, bedrooms show the highest relative air humidity. This also means that the danger of mould formation also rises. A favourable ventilation option in terms of mould prevention is to keep the window tilted at night. However this involves disadvantages in relation to energy and the ambient conditions frequently do not permit this method of ventilation. In principle it is possible to ventilate again accordingly the next day to prevent mould from forming. Early in the morning the window should be opened to the full for a period of approx. 30 minutes. 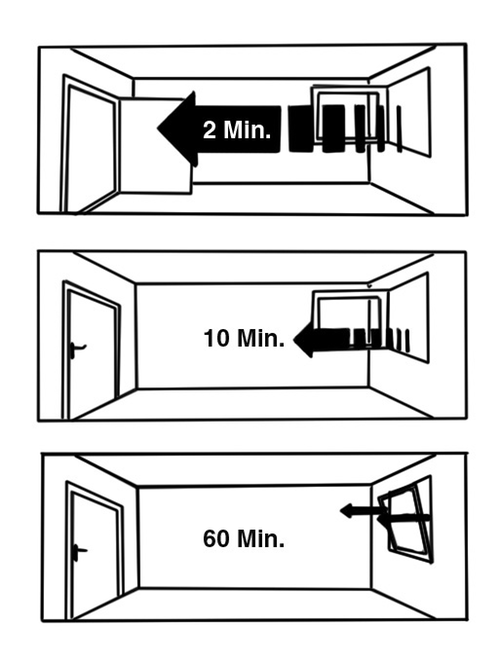 If supplementary ventilation is not possible until the evening, double the amount of time is required. Association of window and facade manufacturers, Frankfurt/Main.